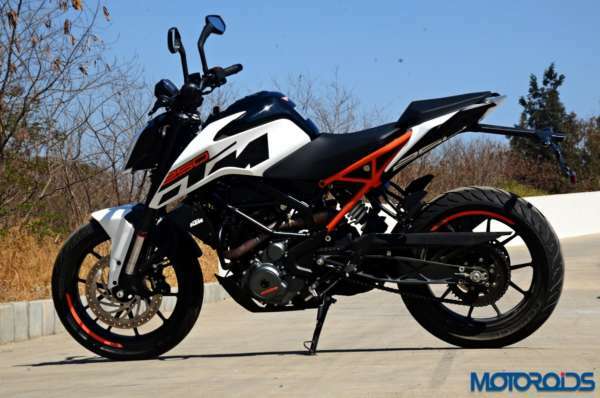 Home KTM Is the ABS Equipped Duke 250 on Its Way to the Indian Market? 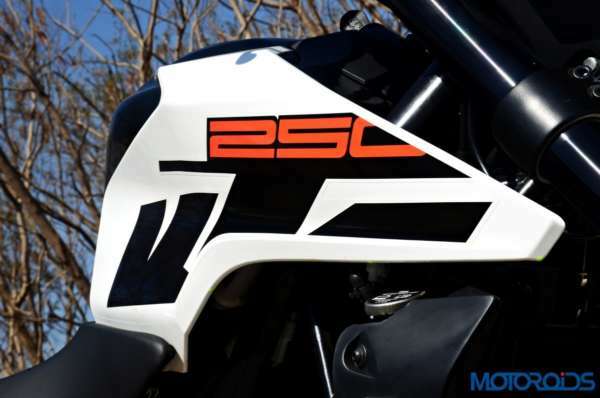 Is the ABS Equipped Duke 250 on Its Way to the Indian Market? KTM recently launched the new Duke 125 bike which has been made available at a price of INR 1.18 Lakh. They also launched an ABS-equipped version of the Duke 200, which has been priced at a premium of INR 9,000 over the normal variant. Their website now showcases an ABS-equipped version of the Duke 250 as well, which could be launched in the market very soon. KTM has always kept safety their number one priority for the Indian market as well. So the introduction of the ABS-equipped version of the Duke 250 comes as no surprise and way ahead of the government deadline which will make this safety feature a compulsion on bikes above 125 cc. The Duke 250 will get a dual channel ABS system which according to the website can be switched on or off to suit the requirement of the rider. Apart from that, expect no other changes on the bike, which is not a bad thing. The standard variant of the bike retails at INR 1.8 Lakh (Ex-Showroom). Expect to pay a premium for the ABS-equipped version, which is money well spent for such an important safety feature. With the introduction of ABS in this model, riders can now obtain a safer bike, with much more thrill than the Duke 200 can offer. The Duke 250 gets power from a 250 cc single cylinder engine which is good for 29.6 bhp of power and 24 Nm of torque. The engine is mated to a 6-speed gearbox and also gets a slipper clutch to help you rev match the engine easily. Suspension duties are done by an upside-down WP fork in the front and a WP monoshock at the rear. Braking duties are done by a 300 mm disc in the front and a 230 mm disc at the rear, which now gets ABS as well. Stay tuned for more news on this bike as and when it is available.